A while ago I started writing reviews and mentioning films I thought were overrated and underrated which gave me an idea for a new feature I’d do. In it, I’d discuss some things I think are overrated and underrated. For my first edition, I’ll be talking about actors. I’m going to keep it at levels of critical acclaim and attention these actors receive. I do think people like Adam Sandler and Shia LaBeouf are overrated but they’ve never actually been praised by critics for anything (with the exception of Punch-Drunk Love for Sandler and Lawless for LaBeouf). Yeah, I’m not a fan of Sandra Bullock. Her Oscar winning role in The Blind Side wasn’t very well-received by critics, and she really hasn’t starred in any noteworthy films. 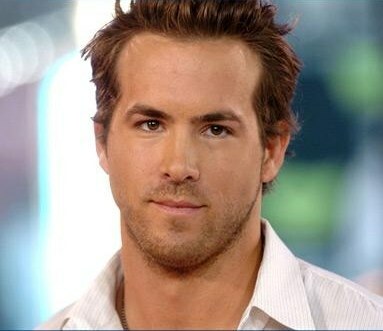 I’ve never understood the appeal of Reynolds. He really irritates me and I have no idea why he’s so popular. Johnny Depp isn’t really a bad actor but I can’t see him other than himself. Plus his roles have been really weird lately. Okay, Angelina Jolie’s pretty attractive but she isn’t a very good actress. I can’t think of one movie I liked her in and all of her performances I think are pretty stale. This one might get me in trouble but I don’t like Meryl Streep. To be fair, I haven’t seen her acclaimed performances in movies like The Deer Hunter, Sophie’s Choice, or Kramer vs. Kramer, but I don’t think she’s a particularly good actress (she’s better than Jolie but still pretty overrated). I despised The Iron Lady and disliked many of her other roles. The only performance I liked of hers was in Adaptation and I thought she was still the weak link in the cast. This one may sound strange, but Cruise actually does very well in good roles in dramas. His performance as Frank T. J. Mackey in Magnolia is really extraordinary and doesn’t get enough credit as it should. 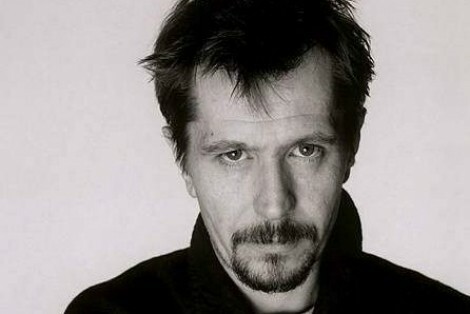 Gary Oldman’s one of my favorite actors but never seems to be very noticed. In fact he received his first nomination for an Oscar last year (he should have gotten plenty more). 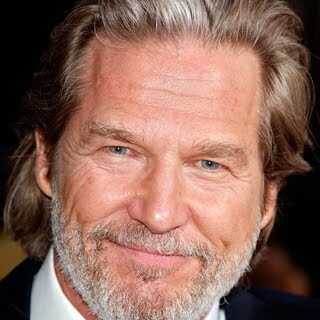 Even though he’s won a lot of acclaim, Jeff Bridges should get a lot more attention. Not only is he one of the best actors working right now but he’s done a lot of good work. 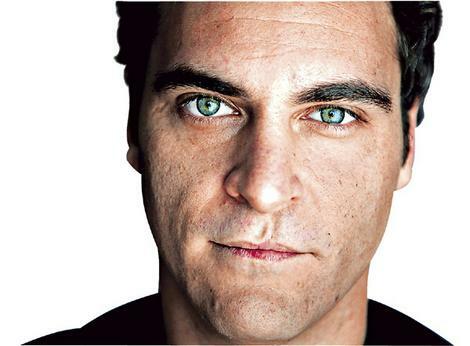 I really like Joaquin Phoenix. He’s had great roles in Gladiator, Walk the Line, and more recently in The Master. I was really disappointed when he made the faux documentary I’m Still Here, which intentionally destroyed his career, but I’m glad to see him come back. He deserves more praise. Goodman’s starred in a lot of acclaimed films but like Bridges never receives as much attention he deserves. I think he’s a great actor who should get more acclaim. Agree or disagree with my picks? Think I should have added someone else? Comment below. Yes to Sandra Bullock! I’d also put Julia Roberts in the overrated category too. I wouldn’t say Gary Oldman is underrated though, I definitely think he gets a fair amount of praise. 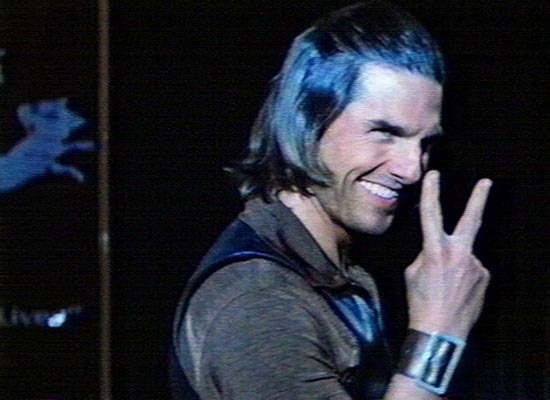 I agree on Tom Cruise though, he gets unfair criticism sometimes. He may be crazy in the head but he’s a great actor given the right role. Now that I think of it, I’d also put Julia Roberts on the list (I’d probably tie her at fifth). Glad you agree with Sandra Bullock and Tom Cruise. Bullock has never really impressed me and while I’m not a fan of Tom Cruise, he’s actually very good in dramatic roles (besides Magnolia he was also great in Born on the Fourth of July). Gary Oldman does get a fair share of praise but I mostly put him on the list because he hasn’t gotten his due from the Oscars until last year. He’s one of the best actors working right now in my opinion. Thanks for commenting. Great new feature man. I think this should cause a lot of split opinion’s. I’ve already seen a few that I disagree with. LOL. I must admit that I’m a big fan of Streep, she’s one of the very finest. Depp I can understand as he rarely shows much range but I still like him. As for your underrated; I couldn’t agree more with all of them, particularly Cruise. He’s capable of some outstanding performances and rarely gets the credit for them. Magnolia is certainly one of them. To be fair, I haven’t seen some of Streep’s most acclaimed performances, mostly just her recent work. I do like Depp but have been disappointed by some of his newest films, but really like his older ones such as Ed Wood or Edward Scissorhands. I’m glad you agree about Tom Cruise. His performance in Magnolia really blew me away and I’m surprised he didn’t win an Oscar for that role. Thanks for commenting. Is Ryan Reynolds really that popular. He can’t open a movie to save his life. Yeah, he really isn’t a very good actor. Thanks for commenting. Lol. I like how Sandra Bullock is right there with Ryan Reynolds (The Proposal) and Johnny Depp is right there with Angelina (The Tourist). What did you do, watch those right before doing this? Oh and btw Tom Cruise is the most overrated actor, no matter what genre he is in. I didn’t notice that before. Tom Cruise is overrated in action movies but he does really well in dramatic roles. I recommend if you haven’t seen them Magnolia and Born on the Fourth of July. Thanks for commenting. I agree about Gary Oldman. He is quite underrated, despite playing a wide variety of roles. He has played both Dracula and Commissioner Gordon with equal aplomb! I would suggest Ryan Gosling and Hugh Grant to the overrated list. Talking of Depp being himself, the same argument can be made about Robert Downey Jr. He is pretty much himself in the Iron Man/Avengers movies and to some extent in the Sherlock Holmes movies as well. Gary Oldman’s a great actor. Interesting list! I don’t really agree with Johnny Deep though – I mean, he has been making poor choices in his latest roles, but looking at his filmography at whole, it’s pretty impressive nevertheless. Sandra Bullock is OK, she’s tolerable, and I think actresses like Cameron Diaz or Kristen Stewart (ugh) perhaps are a lot more overrated. For me, one underrated actor would be Cillian Murphy – he’s insanely talented but constantly overlooked I think. Thanks! Depp hasn’t chosen very strong roles lately, but I do enjoy his older films. I just don’t like Sandra Bullock, but I do agree that both Cameron Diaz and Kirsten Stewart are overrated. Good call on Cillian Murphy. He’s definitely overlooked by many. I agree about Bullock but I must say Jolie actually doesn’t get enough credit. She delievered many great roles and people still make fun of her. Jolie just doesn’t really impress me as an actress. I haven’t seen a role where I thought she was good in but I’m glad you like her. Also I’m happy you agree with me on Bullock. I think Meryl Streep is one of the best actors of all time. She was amazing in Deer Hunter, Sophie’s Choice, Kramer vs Kramer, Iron Lady, Virginia Wolf (I think that was the title), and she was funny in The Devil Wears Prada, Mamma Mia, Julie and Julia. I can go on and on! She has a very wide range of roles and in my opinion, is the best actor of all time. Well, I’ve gotten a lot of disagreement over Streep. To be fair, I haven’t seen The Deer Hunter, Sophie’s Choice, or Kramer vs. Kramer, but I really haven’t liked her work that I’ve viewed. I was in the minority when I said Streep didn’t do a very good job in The Iron Lady, and I stand by my opinion. I’m glad you like her though, I wish I did. Thanks for commenting. A big yes for Sandra Bullock and Ryan Reynolds. I think (and don’t hurt me) that James Franco and Colin Farrell are the most over-rated actors. When I see that they’re the featured actors in a film I cringe. Nice topic. Glad you agree with me on Bullock and Reynolds. I also agree that both Franco and Farrell are overrated. I liked James Franco in a few movies like 127 Hours but he mostly annoys me. I can’t think of a single Colin Farrell I liked off the top of my head. Thanks for commenting. Gary Oldman is, in my opinion as well, one of the most under-rated actors… Nice topic, I really enjoyed the article. 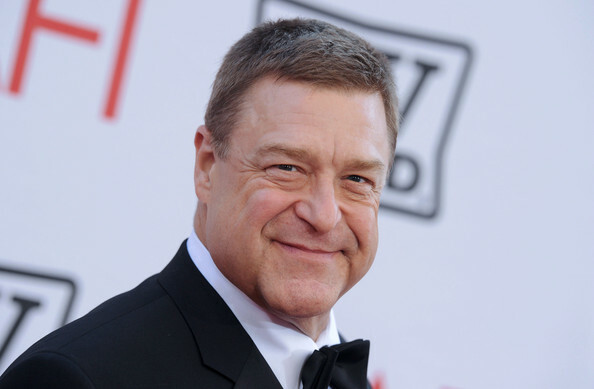 As for John Goodman, I like him a lot and he should get more acclaim than the usual 9gag memes. Yeah, both are great actors. Thanks for commenting. Great list there. I agree with all the choices you have. I’d want to add John Hawkes to the underrated actors list. I love that guy. Thanks! Yeah, John Hawkes is a pretty underrated actor. Late to the party…A well thought out list. Do you have a link for more lists, such as over and under-rated directors? Personally, I like Nolan films, but many people think he is highly over-rated…which leads to over and under-rated movies…again Inception is a really divisive film. There are actors like Dicaprio who I like that are constantly derided as over-rated and others like Pacino, who I think overacts or shout-acts (I loathe Scent of a Woman, but it has an 88% on Rotten Tomatoes), that are considered great. The first actor that comes to mind when I see his name and avoid the movie is Shia LaBeouf (though he is still better than Reynolds who should be in soap operas). I read LaBeouf was considered for the part of Robert Ford that Casey Affleck played in The Assassination Of Jesse James…boy that would have ruined the movie. I think I’ll do a director post soon. I like Pacino but mostly for his older works. His newer films aren’t as great. Good thing LaBeouf did not get that part. I’m not a fan of him. Sam Rockwell is really under-rated! Hey I know that this is an old post but I can’t help agree on Sandra bullock, although Streep is a wonderful actress I think ur decision arises from the fact that her movies altogether are not very appealing. Plus Amy Adams is highly underrated. Johnny Depp overrated and Oldman underrated – bang on. Also severely underrated would be Jake Gyllenhaal. I’ve always liked Jake Gyllenhaal. I’m not sure if I’d say he’s underrated since he does star in some high profile movies, but he’s a solid actor for sure.